See the world at it’s best! Cataracts: The natural lens in the eye gradually becomes less flexible and less clear as we mature. As opacities develop within the lens, the lens becomes hazy and vision will be impaired. Visionary Eye Associates can diagnose and manage your cataract care. When the cataract affects vision to the extent that you can no longer read or see distant objects comfortably, we recommend cataract surgery. Visionary Eye coordinates the entire process with cataract specialists that are proven experts and innovators in this field. Cataract surgery can provide you with a bright new world of vision and allow you to see the world at it’s very best; often without dependency on spectacles! Glaucoma: Glaucoma gradually destroys the optic nerve tissue, the connection from the eye to the brain, with little or no warning. The greatest danger regarding glaucoma stems from the fact that the disease is painless and without obvious symptoms until significant damage has occurred. 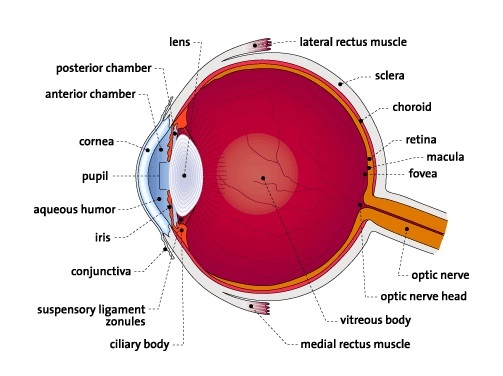 The most common cause is from pressure being too high inside the eye, but vascular and other diseases can contribute. We regularly monitor for the presence of glaucoma during routine eye examinations. Tests include measuring the pressure within the eye, screening for peripheral visual field defects and analyzing the appearance of the optic nerve. If you are diagnosed with glaucoma, we typically prescribe medications that lower the eye pressure; in fact, most cases of glaucoma are successfully managed with eye drops alone. Laser treatments and eye surgery are secondary methods that offer alternate ways to arrest more advanced and progressive glaucoma. Diabetes: The American Diabetes Association strongly recommends diabetic patients have a dilated retinal (eye) examination every year. Diabetes often stimulates the growth of new blood vessels in the back of the eye, which ultimately leak and damage the retina. If this condition is discovered early, laser treatment can destroy these problematic vessels before they irreversibly impact the detailed central vision. Visionary Eye has the latest instruments, including the Optomap Retinal Scan, used to detect changes in the retinal layers. Should we discover diabetic eye disease that can be treated or in need of further evaluation, we will coordinate your care with a board certified retinal specialist offering the most advanced options in diabetic disease management.